We start with the best teas, you taste the difference. 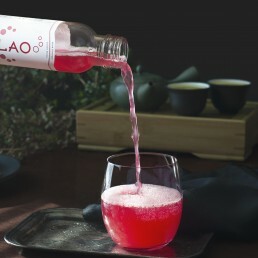 At Lao, we focus on authentic tea fermentation to create a must-have, premium and complex product. Our kombuchas, made with Camellia Sinensis teas, will always put quality in the foreground. Fermented for several days and then bottled, our kombuchas are made entirely in our brewery in Quebec City and then distributed throughout the province. Three kombuchas created from high-end teas, unique to each flavor, combined with various carefully chosen fruits and herbs. 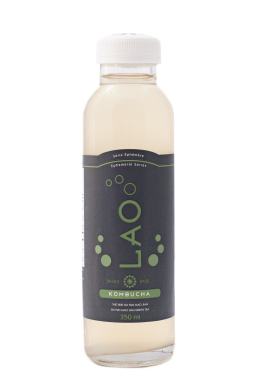 The result, our classic series, presents a kombucha both tangy and slightly sweet which gives it a complexity in the mouth as well as refreshing freshness, thanks to the delicate bubbles. With boundless imagination, we always find new ways to reinvent kombucha while remaining authentic. Thus, summer and winter, this series is always eagerly awaited by our enthusiasts who know very well that their taste buds will be dazzled by our creations. – Antioxidants produced during fermentation helps prevent cancer. – The tea, which is very popular in Chinese medicine, strengthens the immune system. – The tons of probiotics created during the process revitalize and provide oxygen to the body. – The glucuronic acid eliminates the accumulated toxins, which means it’s a natural detoxifier. – The organic acids produced during the process revitalize and oxygenate the body. – The Glucosamine in the kombucha lubricates joints and prevent wear. – Kombucha helps eliminate fats and prevent it from building up again.